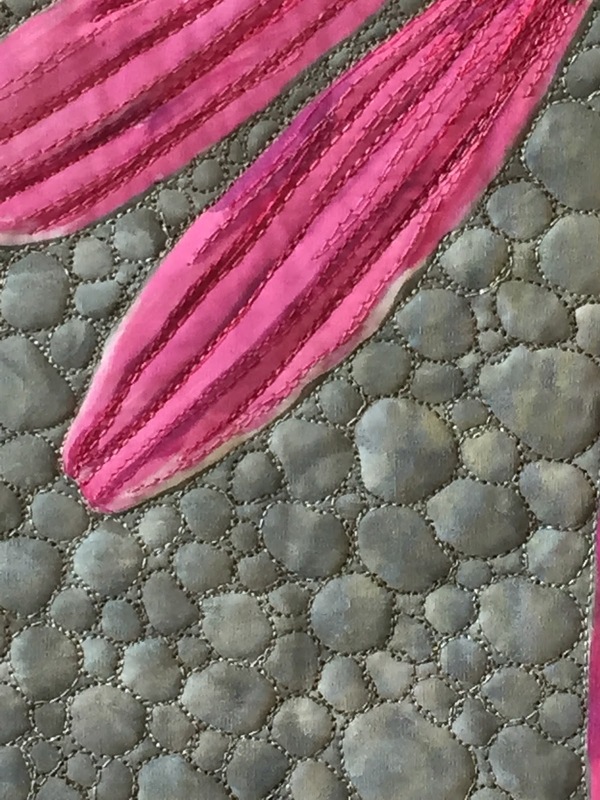 I wrote an earlier blog about how fun it was to take a class from Susan Brubaker-Knapp. She taught her painting on fabric technique at Asilomar this spring. The flower that I chose to paint was from a picture taken by my friend, Rachael Brake. In an earlier post, I showed the painting part. Now I'm showing you the finished piece. 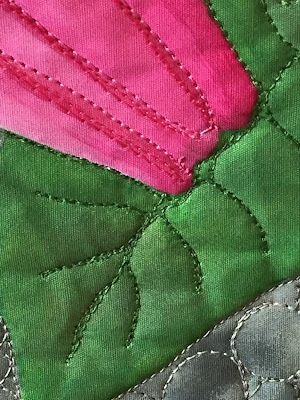 I quilted it in several colors of thread. 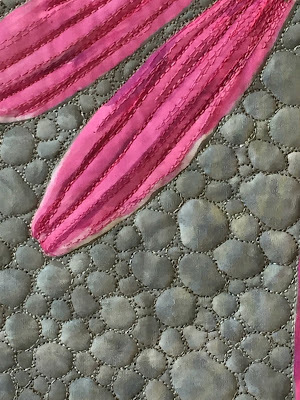 I did rocks and gravel in the gravel background, leaves in the leave background, and very little stitching in the flower so as not to cover up the painting. So pretty! This must have taken a long time with all of the intricate stitching. 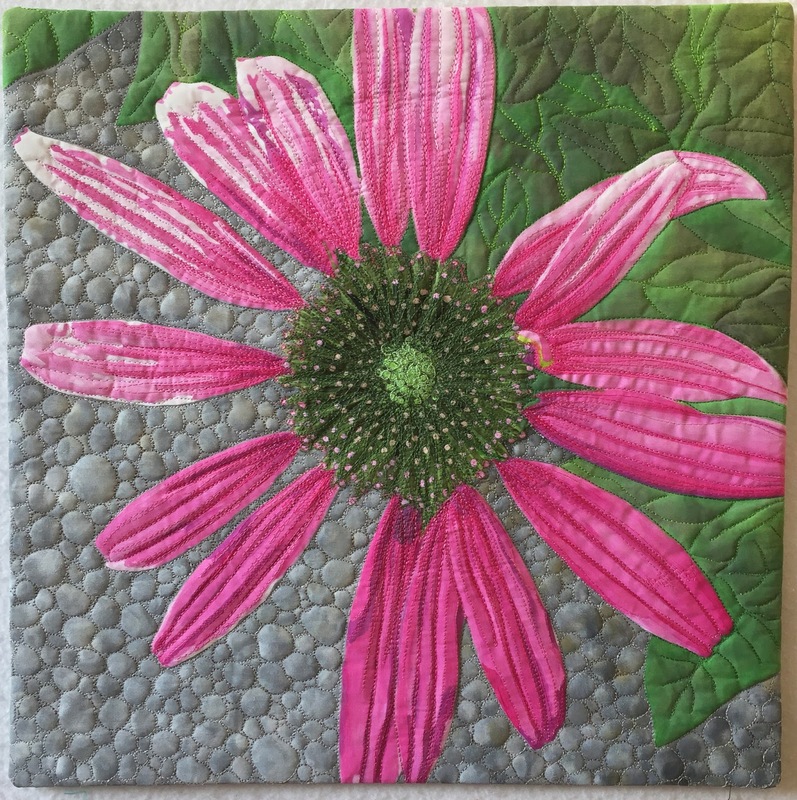 What a cool flower and I can relate to all the pebbles that you stitched! Are there beads in the center?